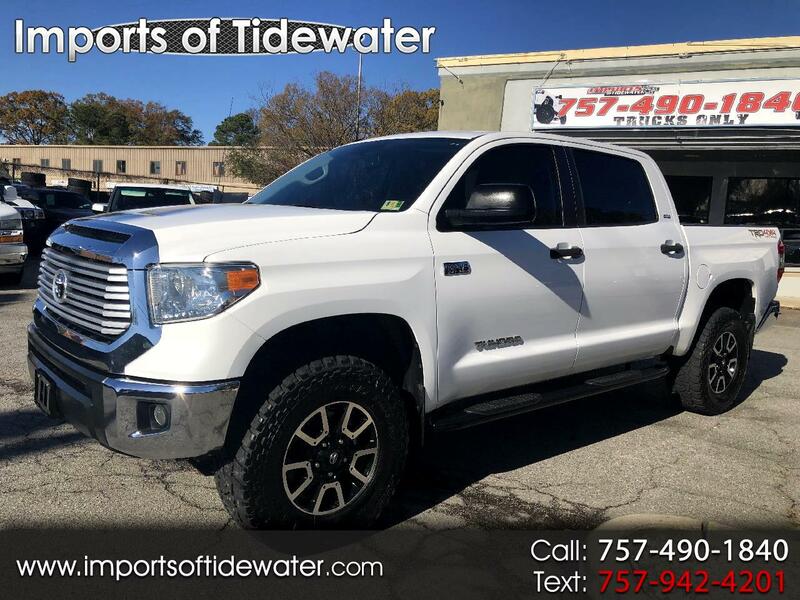 This 2014 Toyota Tundra crew max SR5 4x4 with the 5.7L v8 engine with only 86k miles is in great condition inside and out and runs awesome. Just serviced and state inspected. It comes with black cloth interior, all power options, TRD Off Road Package, leveling kit with 35" Mickey Thompson Baja ATZ tires on factory Toyota wheels, tow package, running boards, bedliner, and much more. For more info and directions call 757-490-1840.